Former boxing champion Oscar De La Hoya said thought about suicide and has been going to rehab because he has become dependent on drugs and alcohol in an interview with Spanish-language network Univision. "Rock bottom was recently," De La Hoya said, according to an English-language transcript provided by the network. "Within couple of years, just thinking if my life was even worth it. I don't have the strength, I don't have the courage to take my own life but I was thinking about it." De La Hoya says he has been sober for three months after undergoing treatment and joining Alcoholics Anonymous. He said he was unfaithful to his wife and that they were separated for a while. "We are obviously not talking a Tiger Woods here, but I was unfaithful," De La Hoya said. De La Hoya retired in 2009 after a 16-year career in which he won 10 world titles in six divisions and became boxing's most popular fighter. De La Hoya was thoroughly beaten by Manny Pacquiao in his last fight. He won his last title in May 2006, beating Ricardo Mayorga in six rounds for the WBC 154-pound belt. He finished with a record of 39-6 and 30 knockouts. Known as "The Golden Boy," De La Hoya transcended his sport, using his bilingual skills to generate crossover appeal among Latinos and whites. He began boxing at age 5, following in the path of his grandfath and father. He won an Olympic gold medal at the 1992 Barcelona Games, delivering on a promise to his late mother, Cecilia, who died of breast cancer two years earlier. "There were drugs, my drug of choice was cocaine and alcohol, hmm. Cocaine was recent. 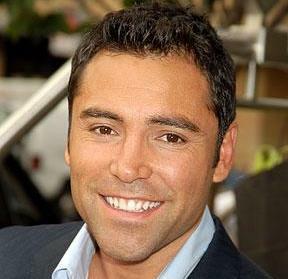 The last 2 years, last 2 years and I depended more in the alcohol than the cocaine," De La Hoya said. "It took me to a place where I felt safe, it took me to a place where I felt as if nobody can say anything to me, it took me to a place where I just can reach out and grab my mom."